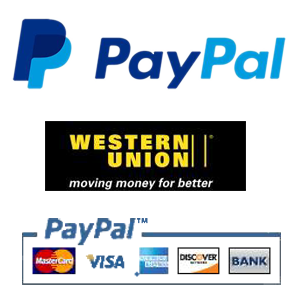 ANSWER :We accept numerous safe payment methods by PayPal, Credit Card, Western union. For large order we suggest you use Western union as the payment method to guarantee an instant delivery without the hassle of order verification. Please note payment with confirmed billing address and optional verified buyer status will help your order be processed faster. Q3 :How can I contact Game4mall? ANSWER :Live chat room, Skype and e-mail help is available for 24 hours per day, 7 days per week. You can contact us whenever you want. Q4 : How is delivery completed? Q5:What is your estimated delivery time?